This is an optional free class for those participating in our "My Enchanted Garden" Block of the Month. There is no charge, but we do ask that you register if you plan to attend. Let's all try to come this month so we can see everyone's progress! 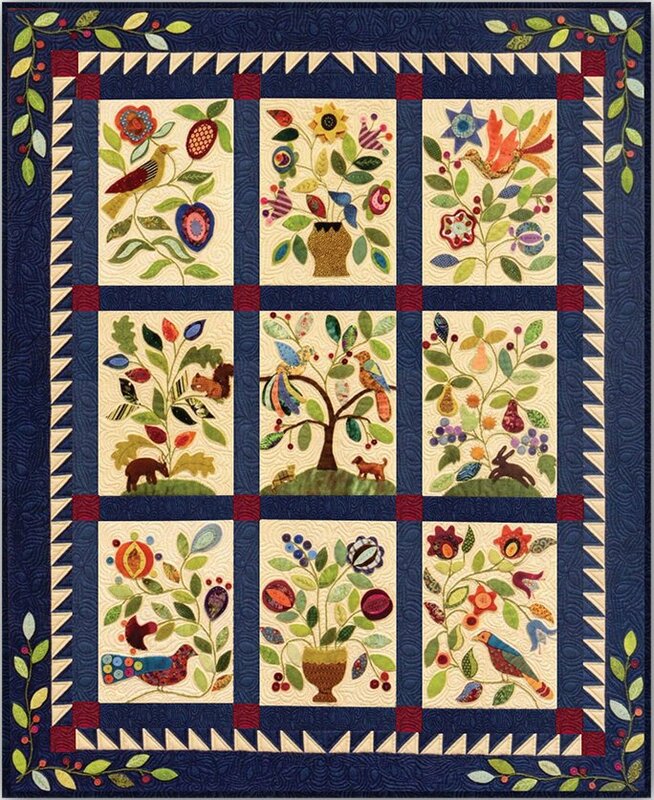 You must be registered for the My Enchanted Garden Block of the Month to attend this class. You may pick up your first kit when you come to class, or bring it with you if you have picked it up previously. Additional supplies needed include a light box if you have one, hand embroidery hoop, your stash of cotton embroidery floss, freezer paper, and supplies for your method of choice for doing turned edge applique (we suggest the Apliquick tools and supplies), Roxanne's Basting Glue.